A festive beverage with which to celebrate Friday the 13th, dissipating any beliefs of bad luck that may have been picked up along the day. 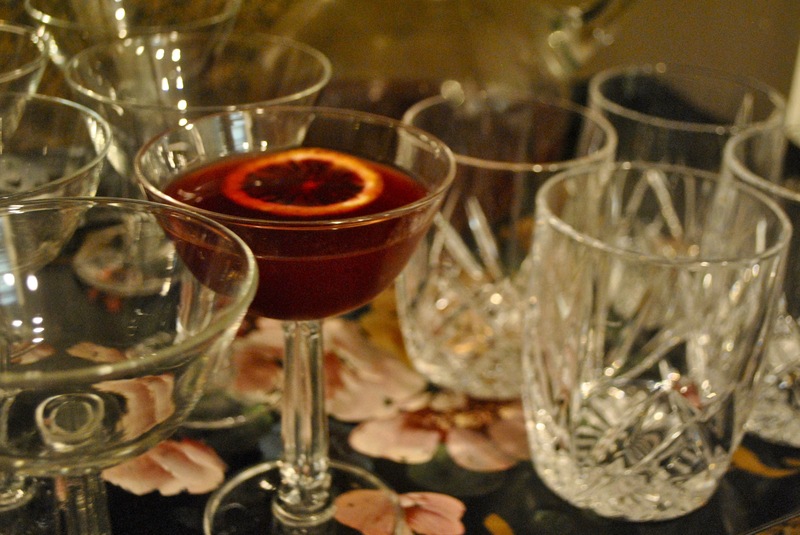 In a punch bowl, stir together the blood orange juice, campari, gin and vermouth. Float the blood orange wheels on top.